﻿SK Telecom T1﻿ are your ﻿2019 LoL Champions Korea Spring﻿ Champions after defeating the former LCK league leader ﻿Griffin﻿ 3-0. Griffin were expected to win the title. Coming into the match, fans and analysts had predicted a highly competitive game, with Griffin and SKT trading matches during an exciting series. Instead, we got to see the SKT “Super Team” experiment reach its final stage, with a stacked lineup of players beating out every single one of Griffin’s. Griffin never looked confident, attempting to beat SKT with unorthodox strategies. They broke out the Taliya/Pantheon botlane for Park "﻿Viper﻿" Do-hyeon and Son "﻿Lehends﻿" Si-woo. With aggressive champions in every lane and map-wide mobility, the team attempted to trap SKT and pick favorable fights, bu to no avail. In the deciding game, you could have been forgiven for thinking that Griffin had run out of ideas — they played almost an identical composition to their first game. This final match was a scrappy back and forth affair, with multiple fights in the mid lane and river. SKT broke the deadlock with a pair of decisive team fights, swinging the gold lead 2k in their favor, before marching down mid and winning the finals. SKT was called a dream team before the season start, with four all-star players arranged around Lee "﻿Faker﻿" Sang-hyeok. But when the team failed to deliver in the 2018 KeSPA Cup - and then floundered at the beginning of the spring split - they were written off as another disappointment for the Korean scene. Now with the finals on the line, they’ve proven themselves once again the top team in the region. 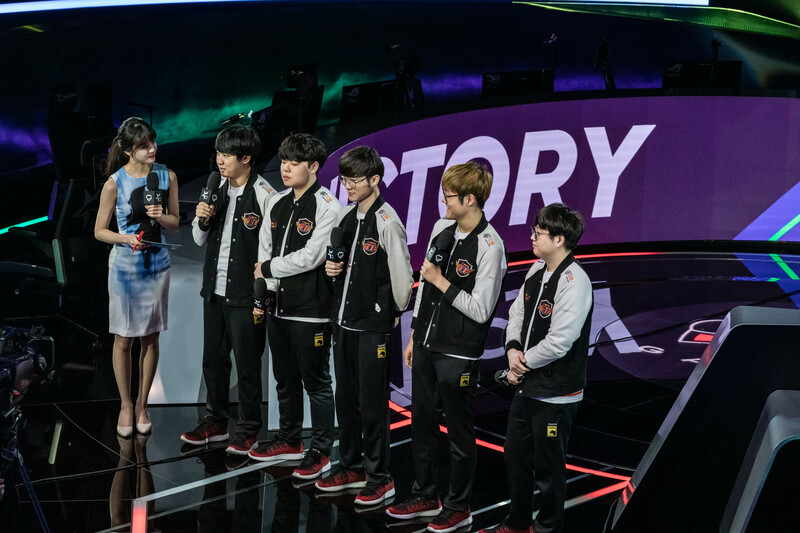 SKT will head to MSI, as an intimidating force for their international opponents. After a temporary hiatus, it looks like the Korean giants are back.